Two years ago, we published an article called, Creating Wijmo Controls. The article described the implementation of the MultiSelect control, a drop-down control showing a list with items that can be individually selected by users. The implementation is relatively simple. All we had to do was extend the ComboBox control and customize the ListBox displayed in the drop-down. The MultiSelect control described in that article was deemed useful enough to be included in the wijmo.input module, so you don’t have to worry about including it explicitly in your projects. Recently, a customer requested a similar control that would display a multi-select TreeView in the drop-down. This article describes the implementation of the DropDownTree control. In this case, we decided to extend the DropDown control, which contains all the logic needed to implement an input element with a drop-down button and a generic drop-down that may be used to host any controls. The DropDown control is used as a base class for the ComboBox, InputColor, and InputDate controls. treeView gets a reference to the TreeView control displayed in the drop-down. 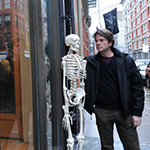 itemsSource gets or sets a reference to the array of objects used to populate the TreeView. childItemsPath gets or sets the name of the property that contains the child items for each item in the data source (defaults to 'items'). showCheckboxes gets or sets a value that determines whether the control should add checkboxes to each item so users may select multiple items (defaults to true). checkedItems gets or sets an array containing the items that are currently selected. checkedItemsChanged is the event that occurs when the value of the CheckedItems property changes. maxHeaderItems is the maximum number of selected items to display in the control header. headerFormat gets or sets the format string used to create the header content when the control has more than * maxHeaderItems items checked. headerFormatter gets or sets a function that gets the text displayed in the control header. This overrides the settings of the maxHeaderItems and headerFormat properties. The "extends DropDown" statement ensures our control inherits all functionality from the base DropDown class, including properties, events, methods, and all internal/private members. 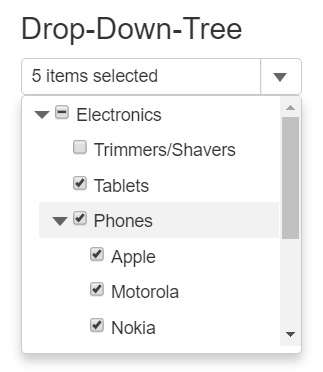 Next, we override the _createDropDown method in the DropDown class to create the TreeView control that will be displayed in the drop-down. In addition to creating the TreeView, we override the onIsDroppedDownChanged method to transfer the focus to the tree when the drop-down opens and the control has the focus. This allows users to navigate the tree using the keyboard. They can search for items by typing their content, check items by pressing space, or navigate the tree using the cursor keys. These properties are just shortcuts that get or set the corresponding properties on the contained TreeView. As such, they are very simple. We don't even bother with type-checking since the TreeView will handle that for us. The main property in the control is checkedItems, which gets or sets an array with the user’s current selection. We could implement it as a pass-through property like the ones above, but in that case the control would only work for multiple selection. We decided to make it work also for single selection, so we must check the value of the showCheckboxes property and use either the tree’s checkedItems or selectedItem properties. In addition to the checkedItems property, we also implement the checkedItemsChanged event and its companion method onCheckedItemsChanged. This is the standard pattern for Wijmo events. Every event X has a corresponding onX method that is responsible for raising the event. Note that even in the case of single selection, the checkedItems property returns an array (which is either empty or contains a single element). 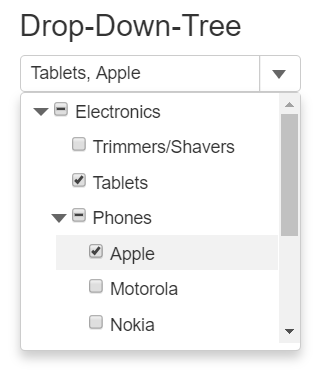 We hope you find the DropDownTree control useful. More importantly, we hope you now feel comfortable extending the DropDown control to host other types of elements, while you create your own custom controls. As always, we are interested in your feedback! Please leave questions and suggestions below. Happy coding!